How do I get rid of emotional baggage? Why am I so stressed, anxious and sometimes depressed? How do I break free from a bad habit? How can I be healed of a wounded heart? 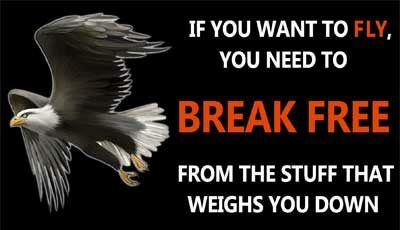 Let us help you break free from emotional baggage! Bill and Wilma Watson passionately long to see people set free and not just know intellectually how much God loves them but to personally experience His love. They have discovered that God’s love sets people free from themselves – from stress, fear and anxiety. They share from many years of experience, having helped hundreds break free from the things that slow them down or hold them back from fulfilling their God-given destiny. A doctor suggests that about half of his clients would benefit greatly from their teaching. Vanessa Fiebig shares: Bill and Wilma Watson’s anointing, their spirit of excellence, their wisdom, their discernment, the love and the very peace of Jesus that surpasses all human understanding touched, changed and freed my heart through them and their prayers. The joy I felt after and still hold in my heart is unspeakable. Chains were broken and miracles are taking place in my life. Break Free is an Interactive Web App of eleven teaching sessions, with content, images, videos and audio to help you remove emotional baggage. 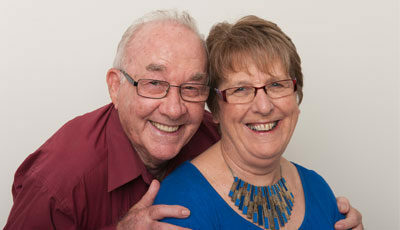 Bill and Wilma will help you understand and break free from inner shame, generational weaknesses, curses and bad habits. You’ll find healing and freedom from painful memories, trauma and unhealthy soul ties. If you are struggling in any area of your life then you have come to the right page! According to pop artist Guy Sebastian, “This website will help you find your destiny and become the person you were meant to be.” The first step to experience God’s love and become all that you were meant to be is to click on the flag of your choice for a cartoon PDF presentation in your language.